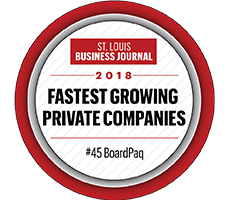 "Not only are CHR's Board members pleased with BoardPaq for its ease of electronic retrieval and note-taking capabilities, our corporate admin team is thrilled at its efficiency and ease of use. Plus the price is right. Additionally, we put a separate BoardPaq portal in place for our Executive Advisory Team so we could quickly share documents and ideas." "We use Boardpaq for our not-for-profit board meetings. It has changed the nature of our board meetings. It is easy to attach all the pertinent documents to the agenda so directors can review the materials before the meetings. It is also easy to take notes for each agenda item. Afterwards there is an ongoing file of all the materials and notes, so board members can go back to any prior meeting. We also utilize the library feature to post important information that board members may need to refer to. It is no longer necessary to keep larger binders full of materials. We love Boardpaq." "We have been using BoardPaq since June, 2012. 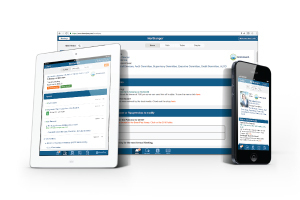 The software is easy to navigate, and has been well received by the 30+ physicians in our practice. Using BoardPaq has saved us a tremendous amount of administrative preparation time and our team can easily access content from past meetings. The RSVP function to document proxy votes has helped us reduce countless phone calls and emails. BoardPaq's team provided wonderful support during implementation. We have no reservation endorsing this tool!" "We use BoardPaq for our full Board and sub-committee meetings and are very pleased with the platform. Before my first meeting using BoardPaq, I felt like I was forgetting something because I had the meeting prepared so easily."